Activity: Ask the child for exercises that can be performed at home or at the park. Perform the exercises for review. 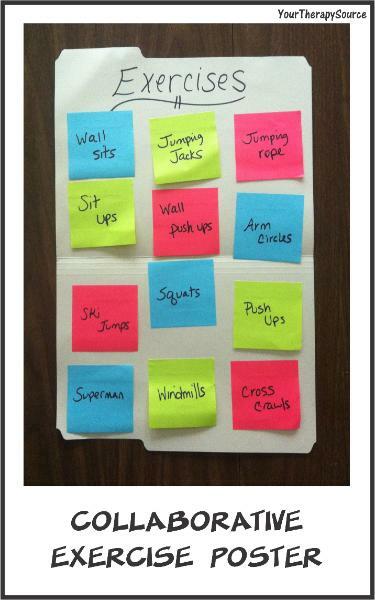 Then an adult or the child can write each exercise on a post it note. Hang the post it note on the open file folder. 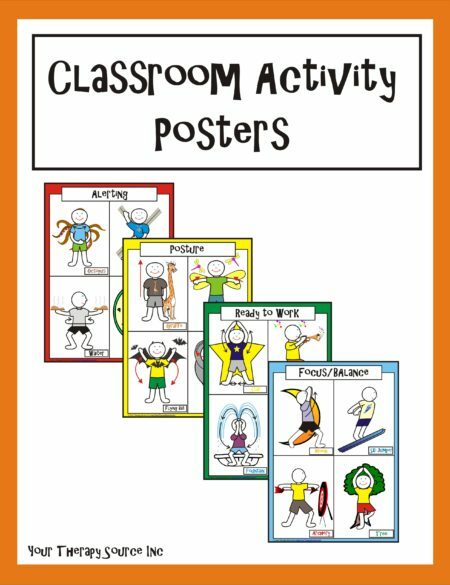 If possible, make copies of the poster so that each child can go home with the collection of exercise ideas. 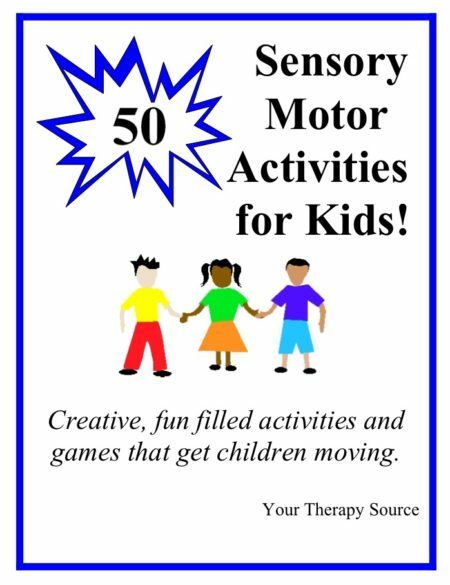 Alternative Options: Make a poster of fine motor activities to do at home. Remember to have to kids come up with the ideas.